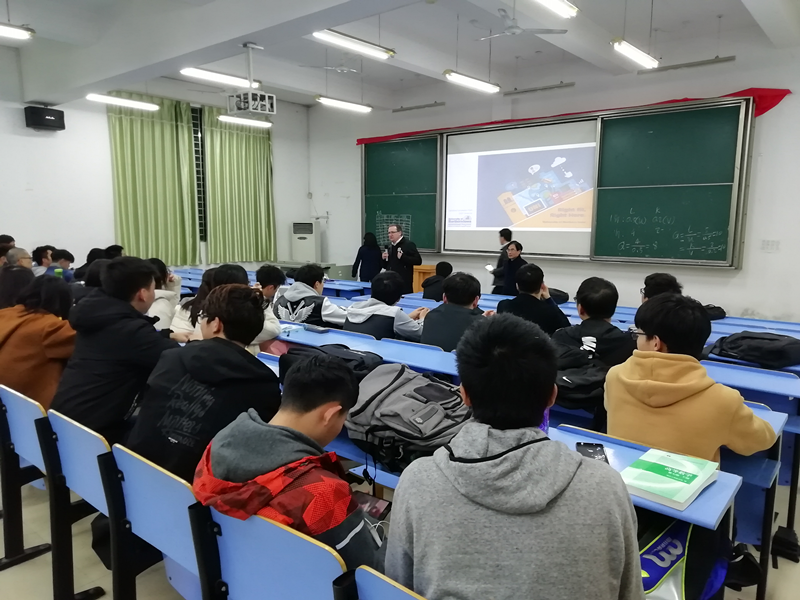 On March 28th, 2019, under the leadership of Mr. Philip D. Plourde, the Director of International Office, three representatives of University of Northern Iowa were invited to visit Nanchang Hangkong University (NCHU). Julia CHEN, the Director of Academic Department, AEMG, and Susan LIU, the Branch Manager of NCHU Branch, AEMG, accompanied UNI representatives on the visit. In the afternoon, the leaders of Australia Education Management Group, School of International Education and School of Electronic Information of Nanchang Hangkong University discussed relevant issues of the joint program. What’s more, the three parties also discussed how to develop further cooperation. 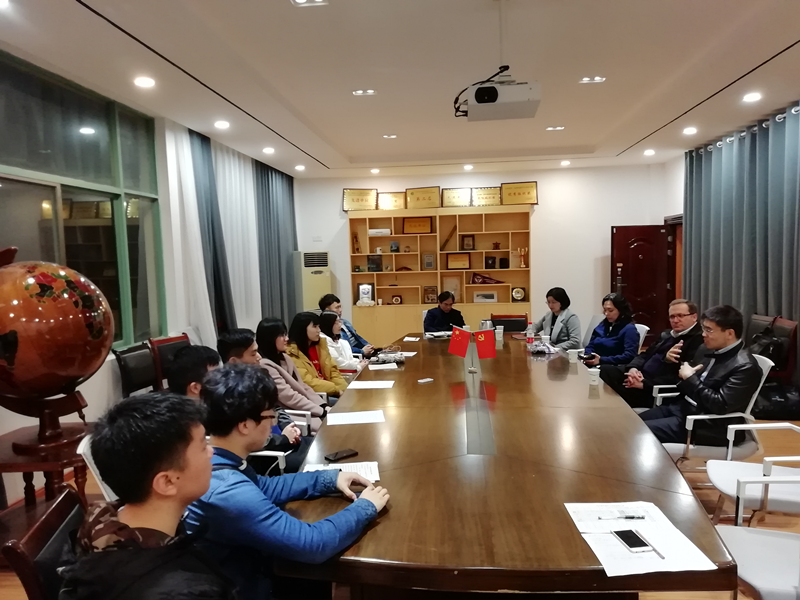 In the evening, the representatives of UNI had two meetings with the program students in the company of prof. Songlong ZHANG, Deputy Dean of School of International Education and AEMG staff. The visit has yielded fruitful results and is of great significance to the further cooperation between the Group and Sino-foreign higher education institutes. The partners reached agreement on many important issues, which laid a solid foundation for the follow-up cooperation.